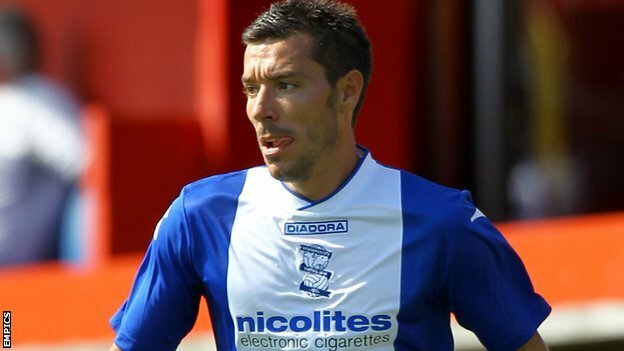 Birmingham City midfielder Darren Ambrose is set to leave Blues for Greek Super League side Apollon Smyrni. The 29-year-old has made just 10 appearances since signing for Blues from Crystal Palace on a two-year contract in the summer of 2012. Subject to passing a medical on Monday afternoon, he will move to Athens on loan until the end of the season. “For whatever reason, it hasn’t worked out here. That can happen in a player’s career,” said Blues boss Lee Clark. “I’ve no doubt there’s a talented player there. Ambrose’s move, which takes him to the end of his Blues contract, may yet be offset by additions to Clark’s injury-weakened squad. The Blues boss is down to using the experienced duo of midfielder Hayden Mullins and defender Paul Robinson in unfamiliar positions, and is hopeful that he will be allowed centre-back Dan Burn back on loan from Fulham later this week. But he knows that he will have limited funds in the January transfer window. “I’ve got a budget that’s been set out for me as to what I can do in the January window and Darren’s departure doesn’t really add to it,” he told BBC WM. “I’m just trying to juggle where we most need to strengthen. “We’ve only got two fit strikers in Nikola Zigic and Lee Novak and I’ve only got Hayden Mullins and Paul Robinson at centre-half, with Will Packwood as back-up. “Tom Adeyemi has a back problem and Peter Lovenkrands picked up a groin injury with the last kick of training. “But I read [Fulham boss] Rene Meulensteen’s comments that Dan will be involved for Fulham in their FA Cup replay with Norwich and that he will probably then go back to Birmingham as his development has come on so quickly. Clark has also not given up on bringing Manchester United midfielder Jesse Lingard back to St Andrew’s, despite him earning a first-team call-up for his parent club on Saturday evening against Swansea.